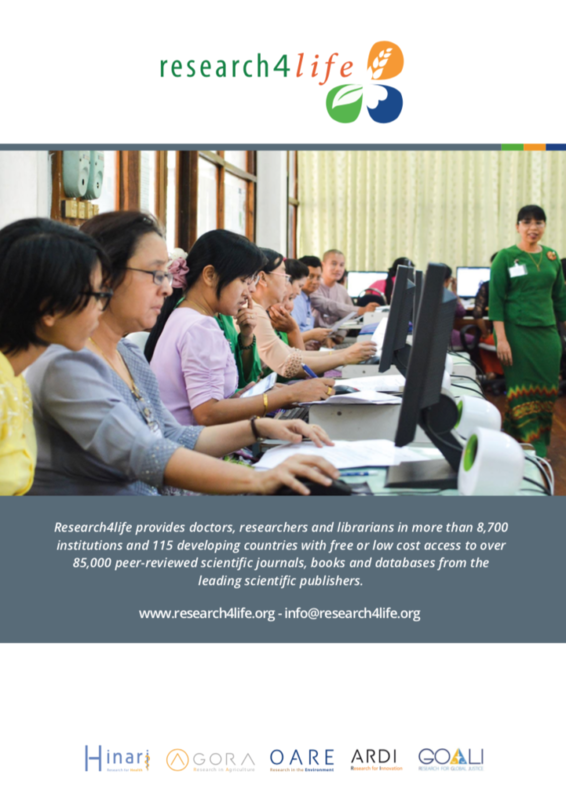 On this page, you can find marketing material and collateral to promote your library, including our Advocacy Toolkit specially developed for librarians. Need more help promoting your library? Check out our training section “Marketing strategies for Research4Life resources“. 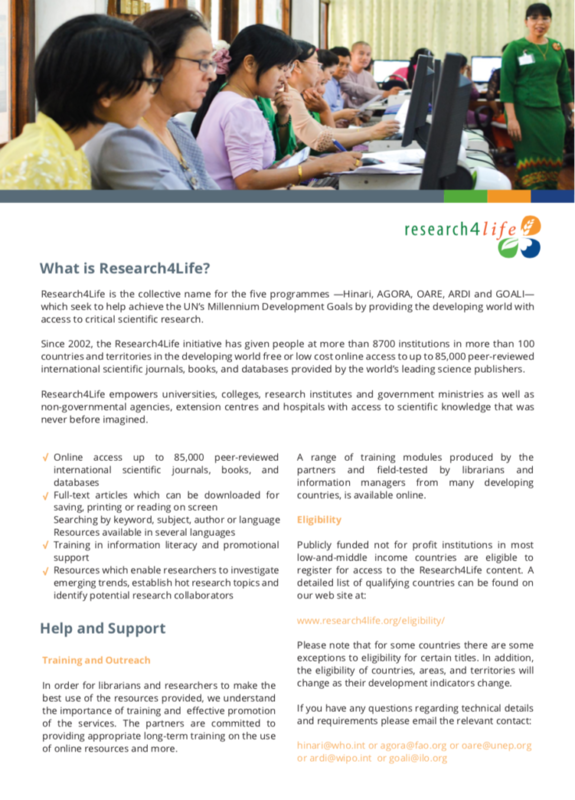 Email communications@research4life.org if you require additional material. All resources are licensed under a Creative Commons Attribution-ShareAlike 4.0 International License. 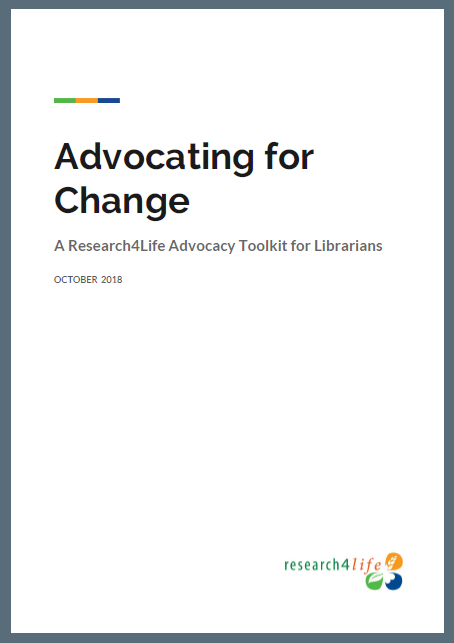 The Research4Life Advocacy Toolkit helps librarians get necessary support from stakeholders. Download our additional PowerPoint presentation that you can customize according to your insitution’s needs. 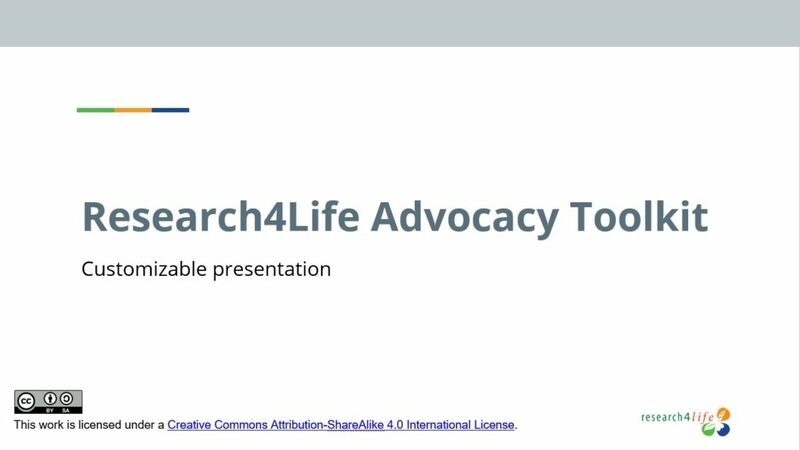 Did you download the Advocacy Toolkit guidebook or presentation? Please take our quick survey to help us improve it! 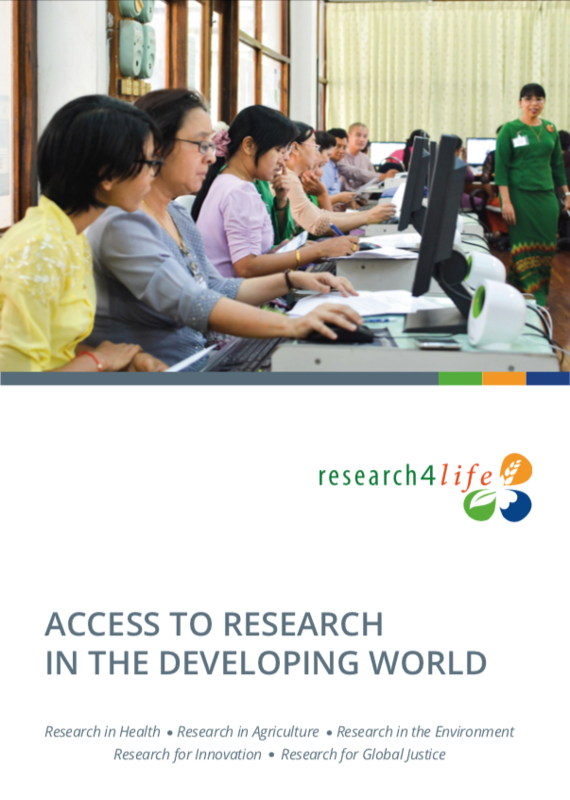 This factsheet contains key information about Research4Life and how to access the content (2018/2019 version). 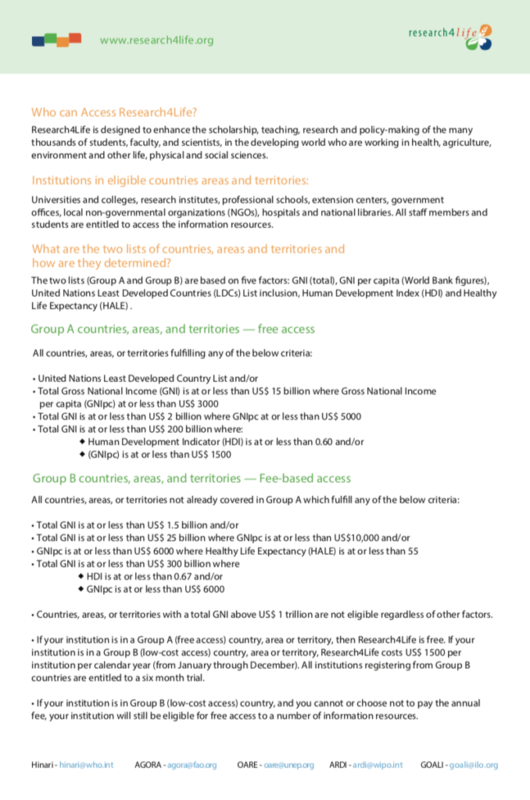 A foldable brochure with key information about Research4Life and how to access the content (2018/2019 version). 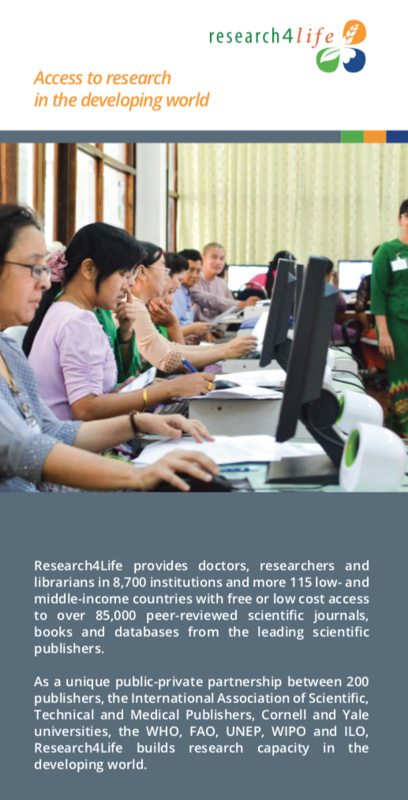 A single page insert that fits in the brochure with information about Research4Life eligibility (2018/2019 version). This pull-up banner can be used on events and conferences.